Remortgaging is the process of moving your mortgage from one lender to another by paying off what you currently have left on your property's existing mortgage with a new mortgage. The benefits of remortgaging can be reducing your monthly payments, securing a better interest rate and shortening the time it will take to pay back. It can also be a good option if you want to borrow more to afford home improvements or pay off other costlier debts. Start discussing options with your broker or mortgage adviser at least six months in advance of when your current deal ends. Gather together your latest mortgage and bank statements to see how much you are paying for your current mortgage. Timing is key, and it pays to line up and apply for your new deal in advance. In a mortgage climate where rates are rising, this ensures a competitive rate and safeguards against rolling onto a more expensive standard variable rate at the end of your mortgage term. The benefit of remortgaging your property is that you may be able to save money by reducing the rate of interest and your monthly payments. The mortgage world is competitive, and your current lender may not be the cheapest. Unlike simply swapping to a different mortgage rate with the same lender, remortgaging opens options with new lenders. 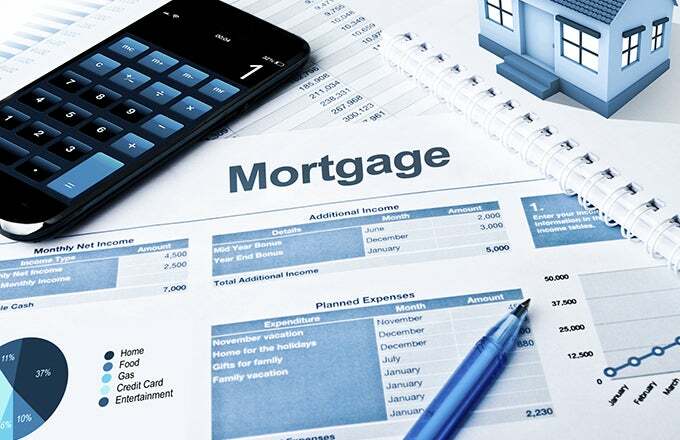 If for example you have a higher income compared to when your mortgage was initially arranged five years ago, you may find that you are able to increase your borrowing power. You may choose to release capital for several different reasons, while securing yourself a more competitive rate than what your current lender offered. However, if your earnings have gone down since first taking out your mortgage, it may be the case that you're unable to secure the lending needed to remortgage with a new lender. The best option may therefore be to switch to a new deal with the same lender. The best option may not be the one that gives you the lowest monthly payments, but the one that allows you to pay back your mortgage quicker, making a larger saving over time. While your current lender may offer a reasonable retention product, such as a more favourable rate if you stay with them, you'll tend to find the best deals are available when you switch lender. If you need additional borrowing, a further advance loan from your existing lender of a new second charge mortgage – meaning a second mortgage on the same property – may be more appropriate than remortgaging, so it's worth considering all the options before deciding. While it can be tempting to guess how much the value of your home has changed since you bought it, you’ll need an accurate valuation to know how much you can spend or save with your new mortgage. If your property has increased in value since you first took out your mortgage, when you choose to remortgage, the loan-to-value figure is likely to decrease. This then means you are less risky to a mortgage lender and your interest rates may drop, depending on the current interest rate climate. A correct valuation is also important if you want to release any equity. But by doing this, you need to be aware that you will be taking out a larger loan and paying more interest over time and in some cases, it may be cheaper to secure a short-term bank loan if you want to do home improvements or pay for a holiday. The process of remortgaging is almost the same as getting a new mortgage. This means that there can be a lot of paperwork, so the quicker you can get all your documents together, the quicker the whole process will be. You will need ID, proof of address, proof of income and bank statements, while also undergoing the same affordability tests that are required when applying for a new mortgage. It's worth keeping all your documentation in a safe and easily accessible place when the time comes to start filling out forms. One of the main things to consider when remortgaging your property are the fees and if these costs make overall financial sense. Check your small print for any early redemption charge (ERC) – especially on discounted, fixed, cashback or capped deals – which may make remortgaging too expensive. In addition to this, there may be an exit fee to cover admin costs, which a lender charges for closing your mortgage (this covers releasing the deeds and Land Registry costs). Call your lender to get a quote for paying off the amount you owe, plus any charges. Check that the exit fee you are quoted matches the one in your mortgage agreement – lenders are not allowed to hike up these fees once you have signed up for a loan. Your new lender will also charge set-up fees, which are the same as when taking out a new mortgage. Legal work is also required when remortgaging your property, which typically takes 2-3 weeks. Most lenders will provide a free legal service; however, this can be slow. Some lenders offer a cash-back service, where the lender pays the borrower a sum of money to put towards hiring their own solicitor, who could prove to work more efficiently. If you require free, independent mortgage advice contact us today, we would be happy to talk you through your options. Remortgage is a good way to reorganise your finances and you could make greater short-term or long-term savings.